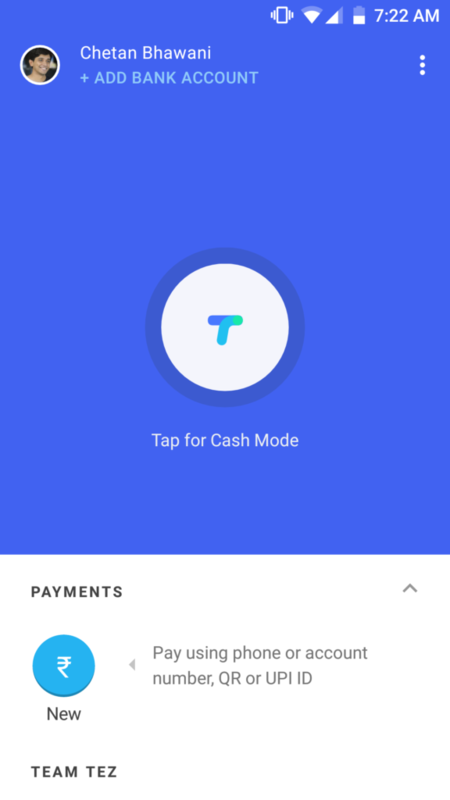 Tez is a new digital wallet and money transfer app powered by Google and it comes with some good security features to keep the transactions secure. 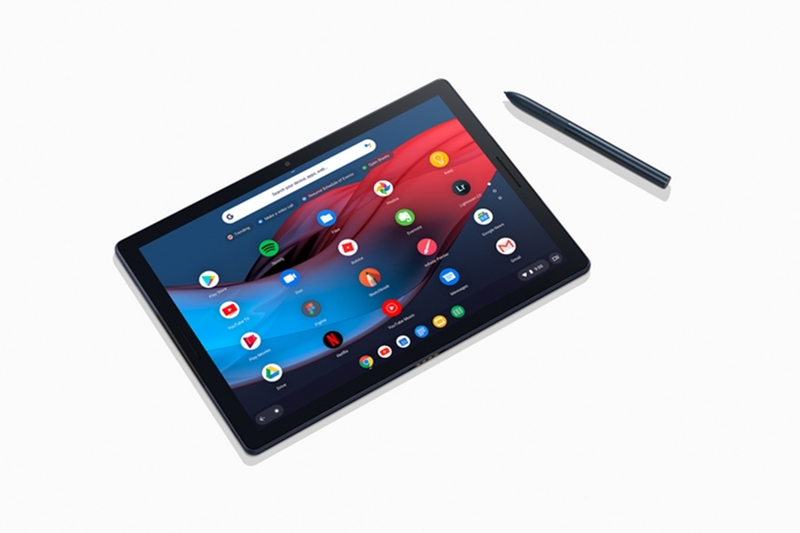 It is a Payments app and so does the job in helping with the payments between contacts, and between people who are to transact but only for business purposes. The Tez app has features like money transfer through UPI, and scanning for people around you to send or receive money, and also make payments to people in your contact list. 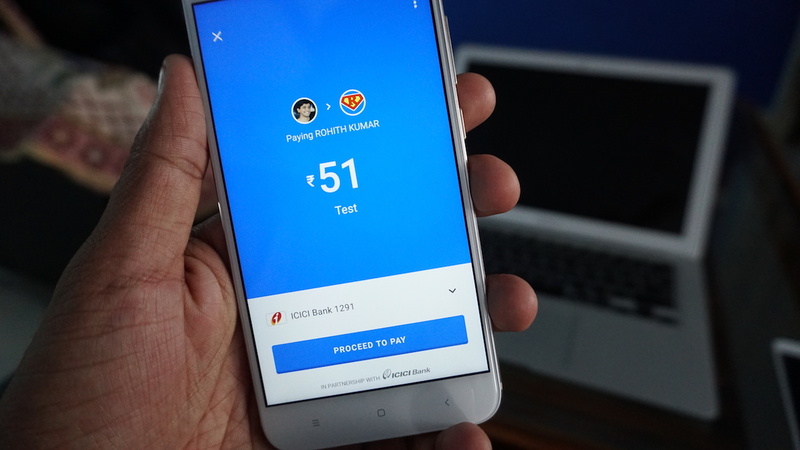 In this quick and short guide, we’ll take you through the steps to make a payment through Google Tez app. Just to note, if OTP is failing or even if bank account adding is failing right now, that could be because of heavy load on the servers and even while sending the OTP and verifying it, the Tez app mentions about the server error. Check the other Tez app problems. Now, to first start with it, download Tez on your Android phone or iPhone, and here’s the link for the same – Click here. Once you have download the app, it will ask you to verify the phone number – Remember, the phone number here is the one that is linked to your bank account. That is how UPI works. Enter the phone number and then the servers would send the OTP to verify it. Some users are currently having a problem in verifying this, but you have to go through this step to setup the account on Tez. 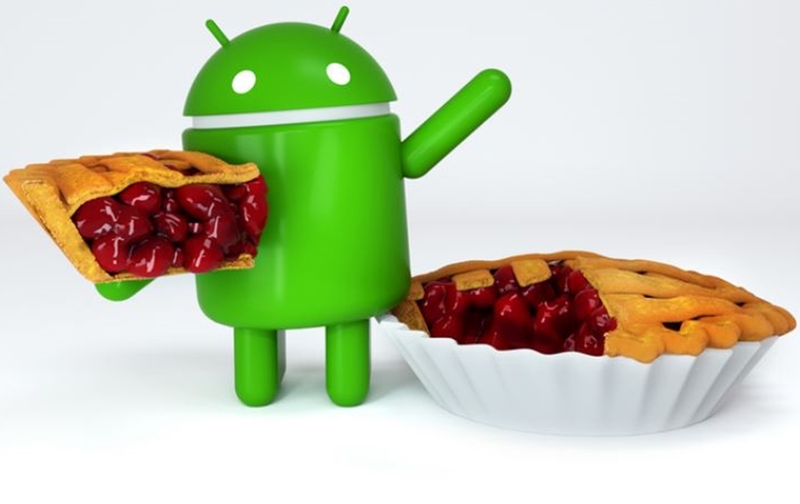 Note – If you have a rooted Android phone, or one with the unlocked bootloader, or with a custom ROM, Google is not going to allow you to use the app because of security measures that it has implemented. 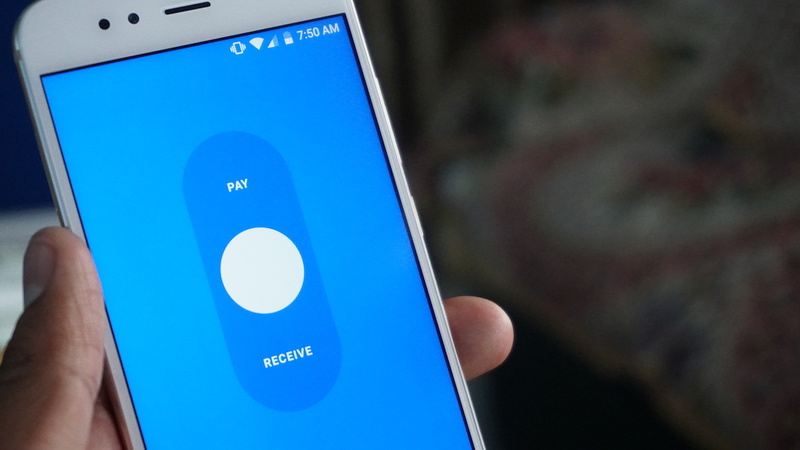 Google Tez won’t work on rooted phones for now. Once the OTP verification is done, you will be introduced to the home screen of the app. Here, tap on the left top corner where it says “Add Bank Account”. Next, select your bank from the list offered. 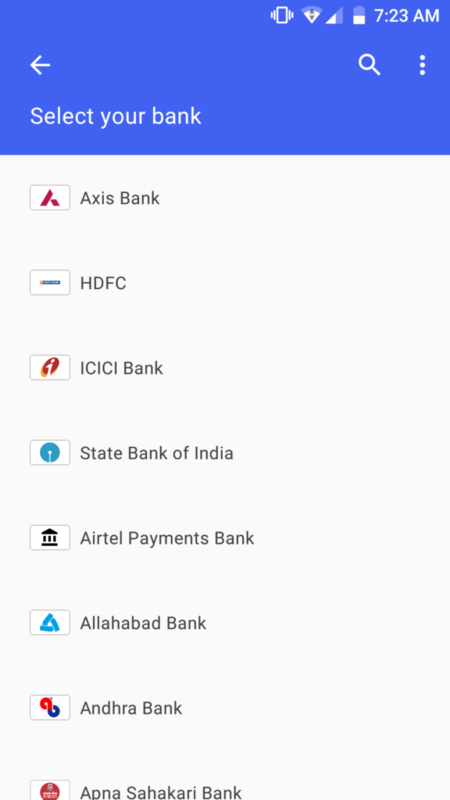 Almost every bank with the UPI enabled will be in the list. One you select the bank, it would send an SMS to your phone number from the bank for the verification. This is the reason why the phone number you had to enter has to be linked to your bank account. 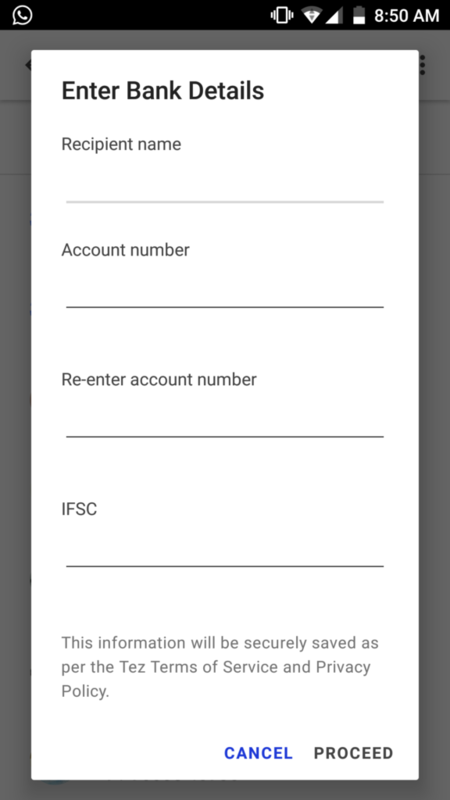 After the verification is completed, you will see the bank account details and the UPI ID on the screen and for security, Tez app will ask you to enter the UPI PIN to authenticate the account. Once you add that, the account is added. That is it. Now is the time to make a payment. To do that, tap on “New” in the bottom and you will see a big list of contacts that already have the Tez account active on their number. 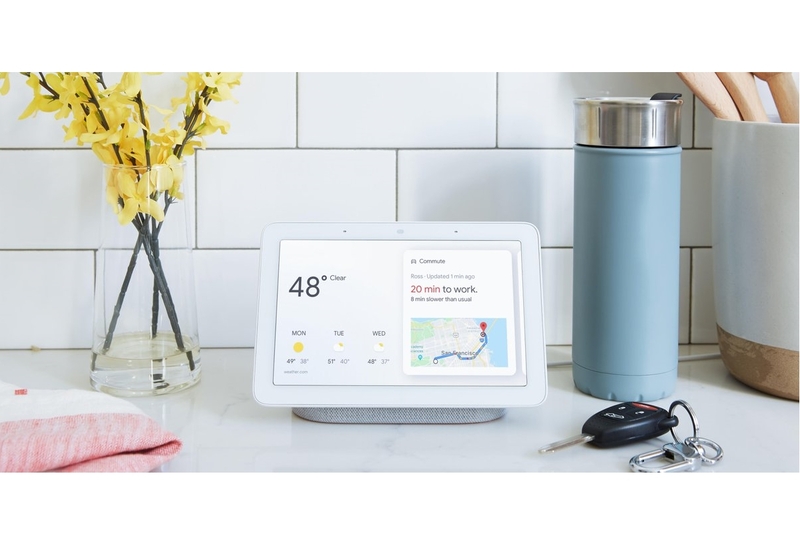 It would list out the following options. Apart from that, you can tap on the centre “Cash Mode” where you choose to either Pay or Receive money. Tap the contact whom you want to pay, and you will find the options of Pay and Request. Tap on Pay and enter the amount you want to pay. Enter the reason for payment and choose the bank account from which you want to pay. 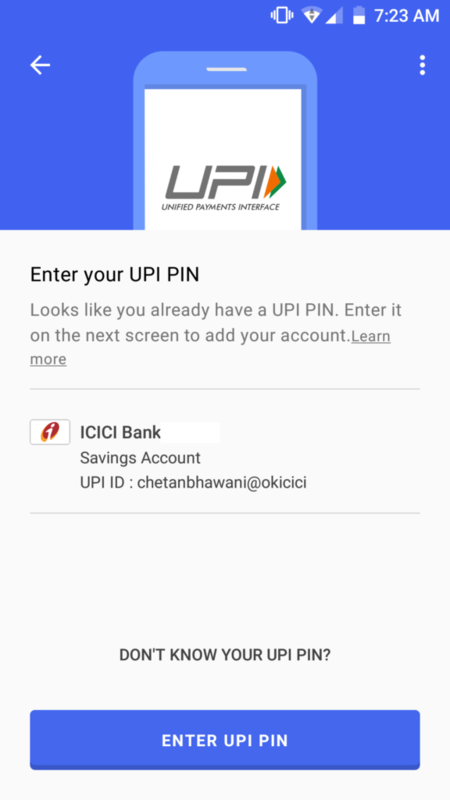 Tap on “Proceed to Pay” and the final step would be to enter the UPI PIN to authenticate the transaction with the bank. That’s it. The payment will be done. 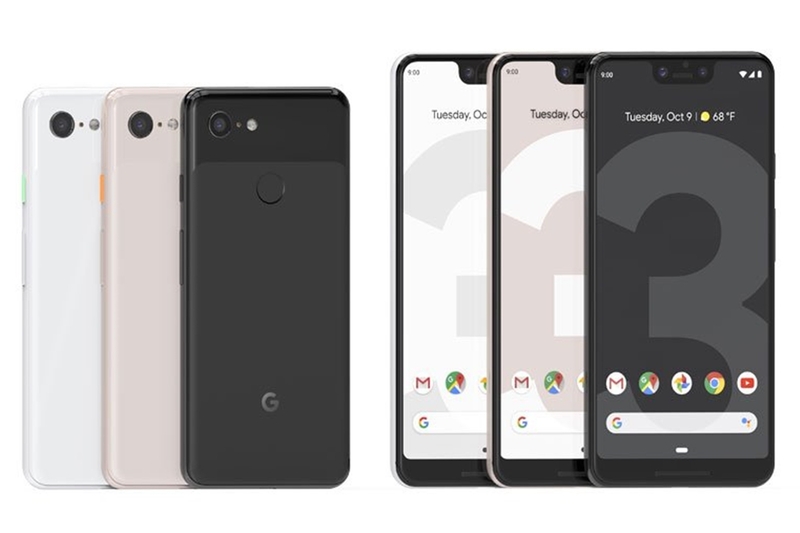 For receiving, you will see the Request option where you can set the amount to receive and request it from the particular contact who has to approve it from their side. 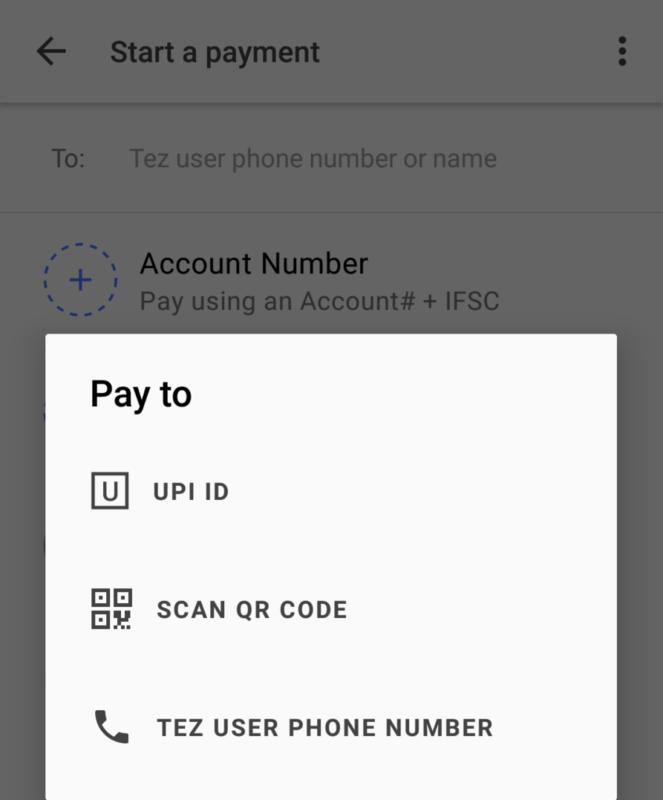 The transaction involves two levels of security, one with the UPI PIN and the other being the Tez security itself. It is an easy way to transact and if you believe that a faster way is to do it with the barcode, there’s also a direct option of showing that from the dropdown menu on the top right from the app home screen itself. Are you facing any issue while transacting using Tez? 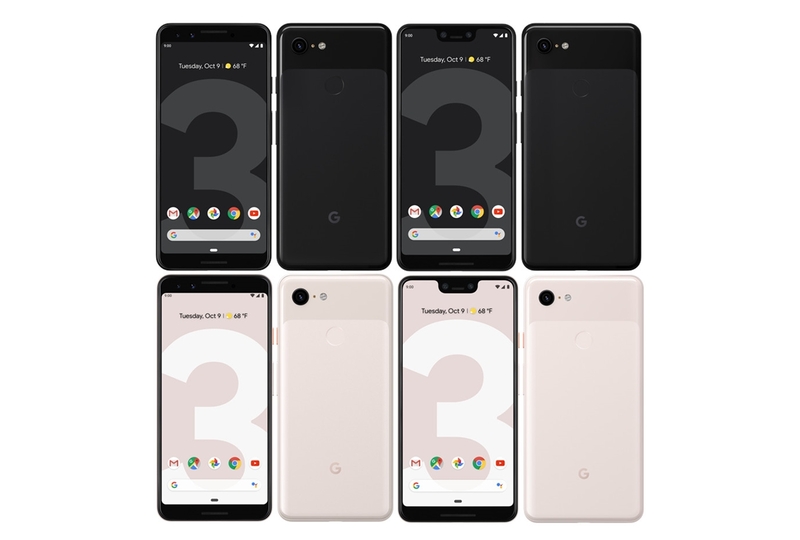 Comment below and we will make a list of such issues and forward them to Google hoping for a fix.